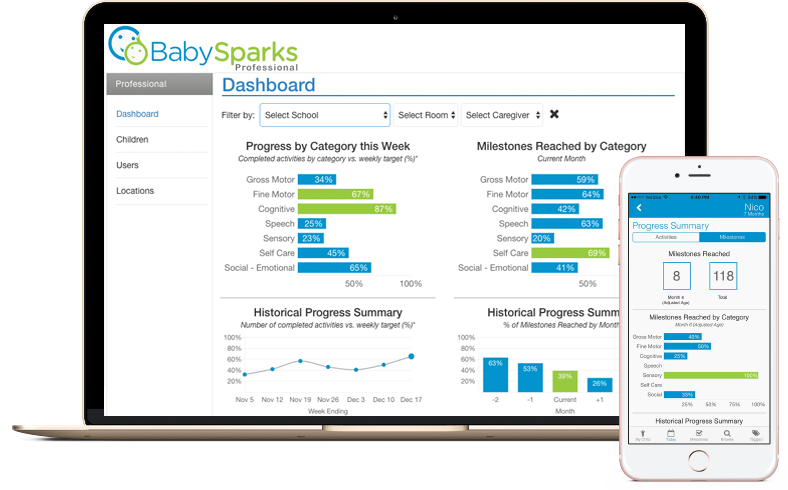 For professional caregivers and healthcare providers, BabySparks can be an invaluable tool. Support, track and improve the development of children under your care. while helping you support the individual needs of each child under your care. Families can engage and participate in their child’s program at home. All of this creates a differentiating experience with great benefits for children. * Allows sharing each child’s profile with his/her family. Pro Level 3 also gives families free access to all of our premium content. ** Includes desktop dashboard to manage caregivers, monitor family participation, track individual child progress and export data for analysis and research purposes.